Real-Time Alerts Monitor Driver Behaviour on the Go! GPS systems offer fleets an abundance of data for managers to better monitor their vehicles and engine diagnostics. To make the process even more accessible, GoFleet offers the ability to send events recorded in real time to effectively monitor driver behaviours and stay on top of business needs. This poses as an advantage over some of the other driver behaviour monitoring systems that do not allow for updated real-time alerts. Receiving alerts in real-time translates into being able to monitor driver behaviours while on the job. Alerts are generated when a rule set within the database is broken. GoFleet driver behaviour monitoring systems is designed with default rules that can be customized based on your company preference by selecting appropriate conditions. When the condition set is broken by a driver only then will a notification be sent out. These notifications can be sent to management or selective users via email, popup’s within the database or the device can be set to beep (within the vehicle) to fix the driver behaviour immediately. Below is an example of a rule set around speeding. 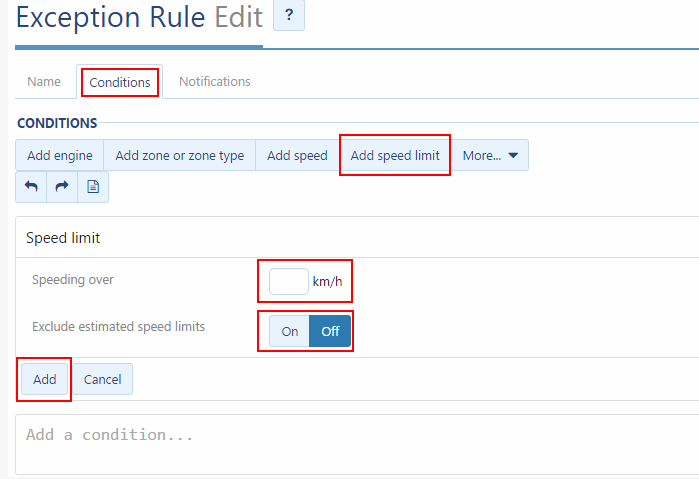 As per the condition set, if the driver drives over the set speed limit a notification will be sent out containing information about the speeding incident. These notifications generated can be customized based on what data your company would like to gain. Notifications are important, if a vehicle is spending too much time speeding/idling it leads to an increase in fuel consumption. The more money wasted on excessive fuel costs, the more your business bottom line suffers. By monitoring driver behaviours through alerts you can ensure that behaviours are fixed easily. 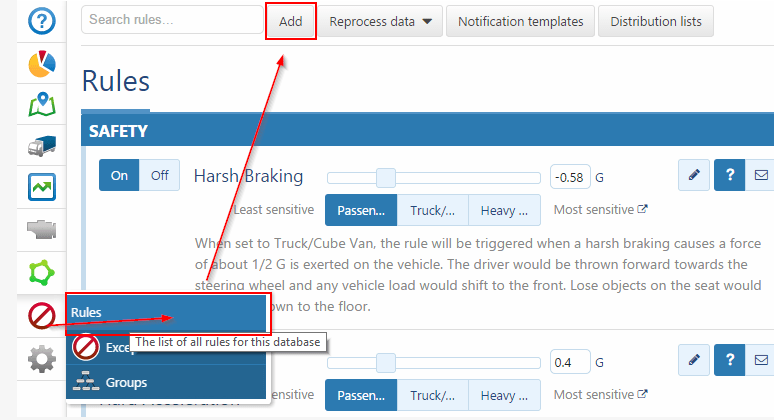 You can also generate a report based on the number of times the driver broke the same rule set, allowing you to take corrective measures and keep a record for legality purposes. Other example of alerts include programmed off-hour alerts. This means that managers can ensure that their vehicles are not being driven during non-working hours. Moreover, there are tons of other expenses that come along as a result of over-using the company vehicle or driving recklessly. There will be an increase in vehicle part replacements and more overall maintenance costs due to more wear and tear. To avoid further expenses take advantage of our solution; let GoFleet’s real-time alerts help for you. For more information on the important features of GPS real-time alerts, and how it could help your business save thousands of dollars, contact one of our highly trained fleet consultants today!